Deselect the feature you do not want. Reboot when finished. Internet Printing Client – unneeded for home users except for very odd circumstances. 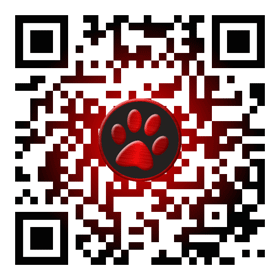 Windows Fax and Scan – obviously needed if you fax or scan. Remote Differential Compression API Support – unneeded for home users. SMB 1.0/CIFS File Sharing Support – Unneeded and serious security risk. Work Folders Client – unneeded for home users. 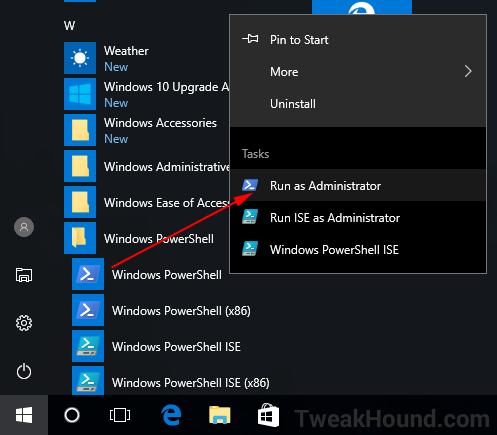 There are a variety of ways to uninstall Win10s built in apps. Some of them you can right-click a tile and uninstall. However, this doesn’t work for all of them, or even most of them. The easiest way to uninstall this stuff is via CCleaner (see below). The fastest and Geekiest way is via PowerShell. 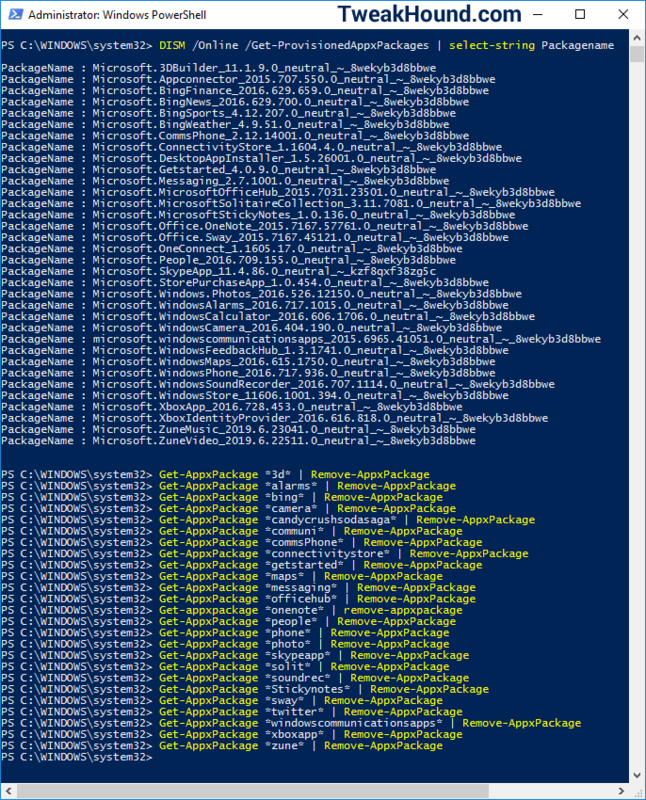 You can uninstall via PowerShell > Get-AppxPackage. I’m not a big fan of this for most folks because it’s complicated. 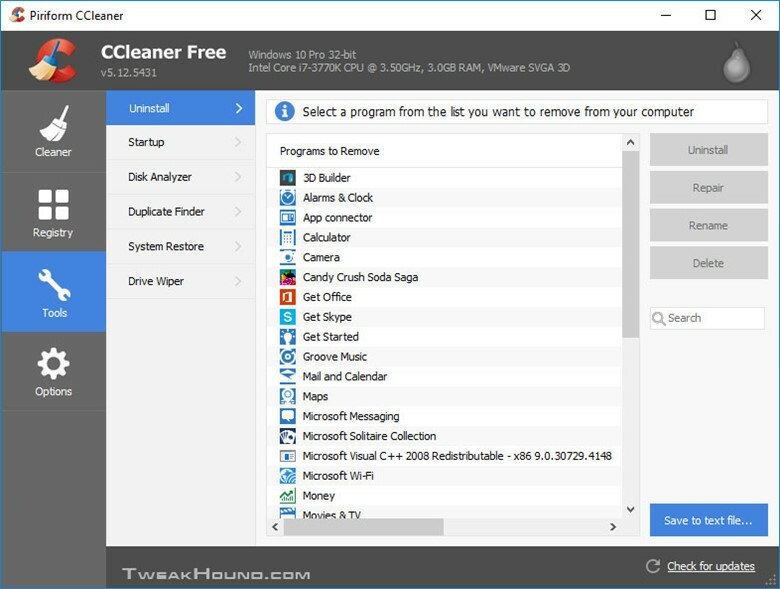 You can use CCleaner to uninstall apps too. CCleaner > Tools > Uninstall. Unfortunately as of this writing it does not separate Win10 built in apps from everything else.